On our recent trip to Melbourne we were told that we needed to find a man named Hayden Scott Lambert. We were told that his movements behind a bar were methodical and graceful and that he had designed a bar unlike anything anyone had seen. That it was something special. We were not lied to. Above Board, on the second floor of a building on the always busy Smith Street just feels different. When you walk into it for the first time, confusion may be your first emotion felt. Classic rock plays at a volume where it takes you minute to recognize the song playing. The lights are dim, but not dark. The bar itself is, well, barely a bar. There is a large island in the middle of the room. Stools stand around three sides of it and on the fourth side is the bartender. The only indication that drinks are made here is a manual juice press of which you can only see the upper arm. So you grab a stool, you order a drink and as the bartender begins making your drink, you get up to walk around to stand on the stool-less side of the island to see just how this mad man of a bartender has designed this space to function as a bar and to stay so pristine throughout a service. Then you start talking with the person behind the bar, Hayden Scott Lambert, and you quickly realize that only his mind could create something like this and that it is incredible. Hayden took the time to talk with us about his inspiration for the bar, his family and Star Wars. Bartender Atlas: In what year and city did you start bartending? Hayden Scott Lambert: I first started in Italy, Rome. Around 2000, I think. HSL: I was a party bartender. Just smashing out shots and getting people drunk and having a great time. BA: How many countries have you worked in? HSL: Australia, Italy, England, Ireland, Australia. Yeah 5 or 6. BA: Above Board, the bar you currently work at and are part owner of is very specific in it’s design. Could you talk about that a little? HSL:We just wanted to create something that was really different, man. We wanted to create an island style bar that had seating behind it. So you can bring people in behind, so you could see exactly what we’re up to. The drawer system was designed to sort of close off the visual cues you get from a bar. It’s all clean lines. I took a bunch of design ideas that I had and that I had worked with and put them into my own concept. BA: What was the principal inspiration behind the design of the bar? HSL: Minimalism. A little Japanese influence. A lot of the things that I’ve seen. I’ve seen a couple of interesting bars in Germany, there is a bar in Belrin called Buck and Breck with single work station. Bar Americano (in Melbourne) was an amazing inspiration, the smallness of it. The intimate factor. They make really interesting drinks, nothing too complicated. So I think I took all those kinds of things and tried to wind them into one: something that would look beautiful and feel great to work in. BA: In Australia it is legal to pour from unlabeled bottles, which is pretty uncommon based on anywhere else we have travelled. You were specific about which bottle you would use. Why Hibiki bottles? HSL: Yeah its pretty uncommon to pour from unlabelled bottles, makes our job tougher. 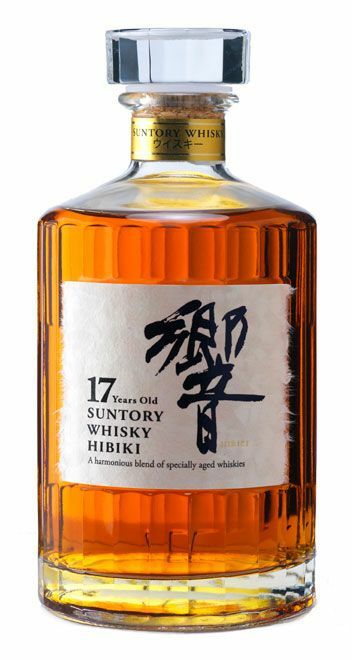 I love Hibiki bottles! There is something just wonderful about them. I didn’t want to just do classic decanters, because a lot of people do classic decanters now. At least with the Hibiki bottles I can get a continuation of having them all be the same. No matter what I am pouring it is always presented the same. I wanted some kind of conformity in all the bottles. BA: Relating to that, there are no brands at Above Board. None on the menu, and by virtue of design, none on the non-existent back bar. Has this caused any headaches? HSL: OH! It causes me lots of headaches. Man, it would be easier to have a bar with bottles on display. Just trying to do something different is hard, it would be way way easier to have everything listed and have everything for everyone all the time. But you know, I’m not trying to make my job hard, I’m just trying to present something unique and fun and different. Honestly having Tanqueray on display would be way easier, having three different gins would be way easier. Keeping it simple is not easy. People don’t really want simplicity. They want to have choice. I kind of put myself at a bit of a handicap by doing some of these things. People ask me the same questions all the time at the bar and I don’t get any kind of support from anyone even though I stock some big brands. I haven’t made it easy on myself. But, I love not having things branded. That said, if we find something isn’t working, we aren’t opposed to changing things. We have made some adaptations to the menu, even since you were in. We have leather coasters now! Hahaha! Things change frequently. We are still figuring out who we want to be for the next 2 or 3 or 5 years. That’s the great thing about being new, is that you are still finding your footing but you can choose what you want to project and what you don’t want to project. Right now what we are interested in projecting is what we are doing, which means not showing the brands and not having the labels. We are focusing on making super nice drinks from elevated products which we don’t want overshadowed by the way that they are branded. It’s an ethos that we’ll carry for as long as we really like it or…you know, we’re a business as well. If everyone hates everything that we do, then we can change things to make things slightly better. BA: You are a dad, how does the little one play into your life as a bartender? HSL: Aw man, it’s hard as hell. Being a husband and a dad and trying to operate something at work and give a hundred percent to all of it is a struggle that I am really trying to work out. I’m not the kind of bar owner where I employ ten people, it’s really just me and Kevin Hubatshek and we are looking at how we can work around that. I get to see my son roughly one day a week. Well, I get to see him every day but I only get to really hang out with him one day a week. We try to fill that with quality time, playing Halo or Skyrim. He’s way too young to be playing it but he’s good at it. BA: That kind of leads into what I was going to ask next. You seem very into comic books and sci-fi. Does that have anything to do with the design of Above Board? HSL: You know what? I’ve never really read a comic book in my life because I’m not very good at following a storyline. But Star Wars and sci-fi and all the geeky stuff that we talked about when you were in, I’ve just always been like that, I’ve always liked sci-fi. I try to keep up…I think one of the wonderful things about the world is that Wikipedia can fill you in so, so much. Any kind of gaps that you have can filled so quickly. It makes being a bartender easier because you can have a conversation about anything. But loving Star Wars and being a fan of Star Trek – but I’m not a Star Trek person – the comic book stuff, I mean, it’s the only thing that has filled our theatres and TV for the last 2-3 years. Seems like all the movies that have come out and been blockbusters have been Marvel comic movies. Being up on it also helps the conversations I have with Marley, my son, he’s big into Batman and Superman and he’s into Star Wars. One of the arguments we have is who’s faster, The Flash or Zoom. I thought it was the Flash and he said no so I had to google what Zoom was, turns out he’s the reverse Flash and turns out he is faster and it has something to do with the speed of light. So no, I guess it doesn’t really have to do with the design of Above Board, except in conversation with guests. BA: One last question and it’s a big one, could Qui Gon Jinn have saved Anakin Skywalker from the dark side? HSL: Ah! Totally, man! It all could have been avoided! Why did they not take that boy and do something awesome with him?! The Jedi order are so blinded by the Force! It’s the same thing with Harry Potter! The whole thing could have been avoided. The Jedi obviously don’t teach love and that’s the killer with the Jedi order. How are you supposed to help people if you don’t have empathy and love? Thanks Hayden for taking the time to chat with us!